As a spiritual and creative hub it is little surprise that yoga has taken off in Brighton in a huge way! There are plenty of dedicated studios across the city offering a variety of yoga styles and classes, Brighton also hosts its very own annual Yoga Festival! Beginners, intermediate or experts are all welcome at Yoga in the Lanes. Located just a short walk from Brighton station, this spacious studio boasts a great reputation and offers an average of 5 classes a day. The studio specializes in Bikram Yoga (Hot Yoga). The Float Spa is a hugely popular destination in Hove for practicing yoga, it boasts a lovely dedicated studio with friendly staff. The studio offers a wide range of classes, for beginners to more experienced yogis, with highly experienced teachers on hand to help adapt technique depending on your level. Yoga teacher Melanie Melvin holds a weekly class every Sunday at Yellowave Brighton. Offering a beautiful view of the seafront, it’s the perfect way to relax your mind and get yourself ready for the week. Mats are provided, the class is open to all levels and you can just drop in on the day. Having studied yoga for over 20 years Melanie knows all the ins and outs of Yoga. Revitalise is a well-being center that specialize in 5 different types of Yoga – Mysore Self Practice, Vinyasa flow, Hatha, Ashtanga and Yin Yang. Their group classes are small but intimate, ensuring the attention is on you allowing for the teacher to help with quicker development and understanding. Suitable for all abilities, each student receives quality guidance and personal advice depending on their level. Unity Studio & School is based on Lewes Road, Brighton. Unity offers group classes, workshops, teacher training as well as private one to one classes. The studio can hold up to 20 people, making an ideal size for group classes. Classes vary and include Ashtanga, Yin Yoga and Aerial yoga. With an ethos of meeting new people and connecting, you’re guaranteed to leave with more than just a great mindset and increased flexibility! Weleda Skin Food is the perfect all-natural multi-tasker to pack for your beach holiday, camping trip or festival. Replenish dry skin after swimming, smooth rough patches on feet, soothe shoulders glowing after a little too much sunshine, or protect lips from drying air-con on the plane. It’s your summertime saviour. If there’s just one thing you need to take with you to a desert island, it’s this little green magic tube. Skin Food is a universal saviour of dry, rough skin on faces, elbows, hands and feet – wherever you take a lot out of your skin, let Skin Food put it back in. With extracts of gentle viola tricolor, calendula and chamomile, in a rich, thick base of oils and beeswax, Skin Food loves your skin back to its best. 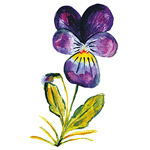 used in many Weleda products. Known for its revitalising, stimulating and warming action, improving circulation. 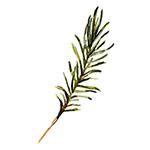 known for its soothing and healing properties and has a long traditional use for rough, cracked skin. 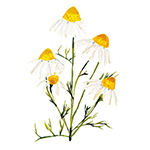 has a long list of traditional medicinal uses and this outstanding strength is contradictory to a Calendula plant’s own vulnerability to water imbalance. are gentle and soothing and are ideal for delicate or sensitive skin. 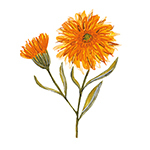 It is often in combination with calendula for gentle skin care. Please note I was not paid to endorse this product and all information taken from Weleda, no copyright infringement intended. 2 Night Relax & Replenish Retreat Friday 2nd November – Sunday 4th November costs from £455.00pp. This interactive and fun retreat will help you to replenish your energy levels through rituals and wellness. It promises to be a restorative weekend that is perfect for anyone feeling frazzled and will offer all attendees a chance to deeply relax and re-balance their energy levels, whilst giving practical tips and strategies to enrich your day to day life and avoid that burnt out feeling. This weekend covers a variety of topics and practices that can aid relaxation and increase overall wellbeing. Topics include Meditation, Mindfulness, Ayurveda and Crystal Healing. It is aimed at those with little or no prior knowledge or experience and also includes a goodie bag for all attendees. To book please email CER@champneys.com and include the title and date of the retreat. Alternatively you can call Champney’s on 0843 5611 943. There is a minimum number of people required for the retreat to run. The retreat will be cancelled if numbers are insufficient 2 weeks before the start of the break.